For several decades, the predominant corporate culture in the United States has been characterised by long working hours and a generalised reticence to taking vacations. 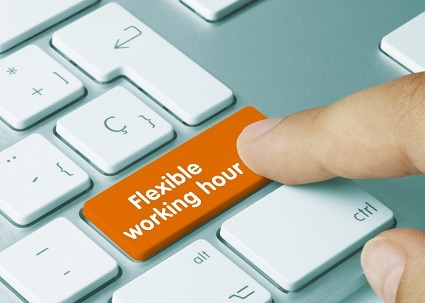 However, in recent years flexible working practices have begun to be frequently implemented in companies around the globe in an attempt to provide employees with a better work-life balance. This trend has of course had a direct impact on US-based firms too, and it is estimated that more than 3 million US employees now benefit from flexible work arrangements. As one of the most prosperous and forward-looking cities in the country, New York has led the way with regards to the implementation of flexible working practices. This article provides an overview of the progress made so far, as well as a review of the most flexible workplaces in New York. According to data published by the Bureau of Labor Statistics, flexible work arrangements are particularly common among New York employees who hold managerial, executive, or administrative roles in the private sector. Within the public sector, New York employees who work for the federal government are more likely to have access to flexible working arrangements than their local or state government counterparts. Another trend worth mentioning refers to the widespread adoption of flexible working practices across genders and age groups. For example, a New York Times article recently drew attention to the fact that telecommuting is no longer an option limited to mid-career employees, as the typical telecommuter profile has grown to include young graduates and employees close to retirement age irrespective of their gender. The Internet giant is well-known for having one of the most innovative and forward-looking human resources management models. In fact, Google has carried out several ground-breaking work-life balance studies and experiments in an attempt to fine-tune its flexible working arrangements even further. For Google, implementing flexible working practices is a way of empowering employees and boosting productivity, employee engagement, and creativity levels – three elements that are certainly critical in the tech sector. The Manhattan-based insurance company has shown that is committed to improving the satisfaction and productivity of its workforce, and in 2016, the firm was awarded a Seal of Distinction for Work-Life Progress for the 4th consecutive year. Flexible work arrangements are an integral part of MetLife’s employee benefit plans and include work-life solutions like paid time off, extended medical and insurance coverage, fitness and wellness programs, and telecommuting. Colgate-Palmolive is repeatedly listed as one of the best companies to work for, partly due to the company’s understanding of the benefits of flexible working practices. The company has devised a series of schemes that aim to help employee’s lead healthy working lives. These include subsidised back-up childcare, comprehensive healthcare assistance, and access to wellness programs and sports facilities. The New York-based multinational is often cited as one of the first companies to implement flexible working practices. Recent studies have shown that approximately 95% of all JP Morgan employees have access to flexible work arrangements both through formal policies and informal schemes. The company offers a range of employee benefits that include family healthcare packages, extended maternity and paternity leave, childcare, telecommuting, flex-time, and job sharing options.